it was a sleeping in kind of morning on saturday, so there really was no rush to get going. i think we rolled out of bed and downstairs around nine or so, still rockin’ the pj’s in true weekend spirit. the coffee pot was fresh and full, so i fixed myself a mug as the sun poured in through the windows. mary finished prepping the strada and popped it in the oven for some good breakfast eatin’. just as the oven door shut, her hubby mike walked in from the garage, home depot bag in hand. ah, yes! 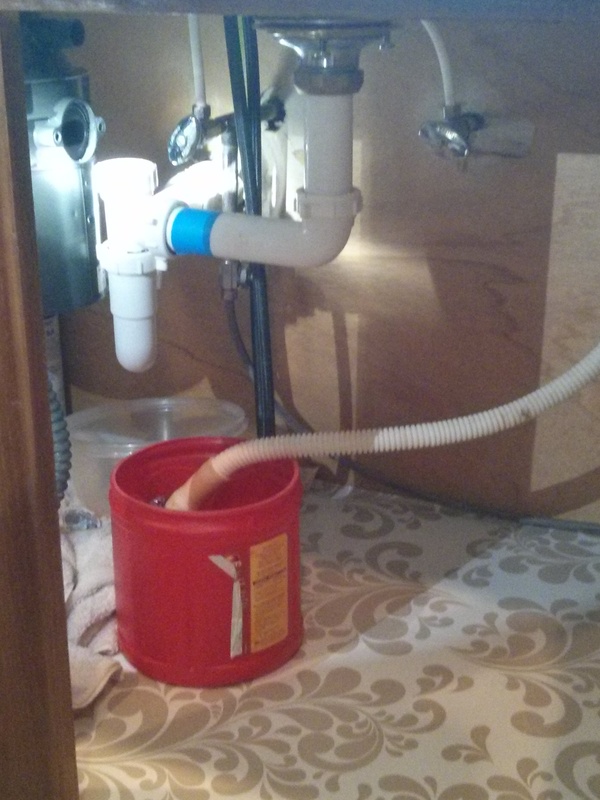 the adventure of the garbage disposal continues, just as i promised! we gathered in the living room around the fireplace, enjoying our savory breakfast before the manual labor began. i’ve got the strada recipe over here for you, so if you need a new something to add to your book, enjoy! it was rich and filling and reminded me a bit of biscuits and gravy, which we know should be a staple in every southern girl’s repertoire. we cleaned up our breakfast mess and got to work, and by “we” i mean that mike did all the heavy lifting and i tried to stay out of the way while also capturing every interesting moment. he was a good sport as i wound and weaved in between steps to snap pictures. 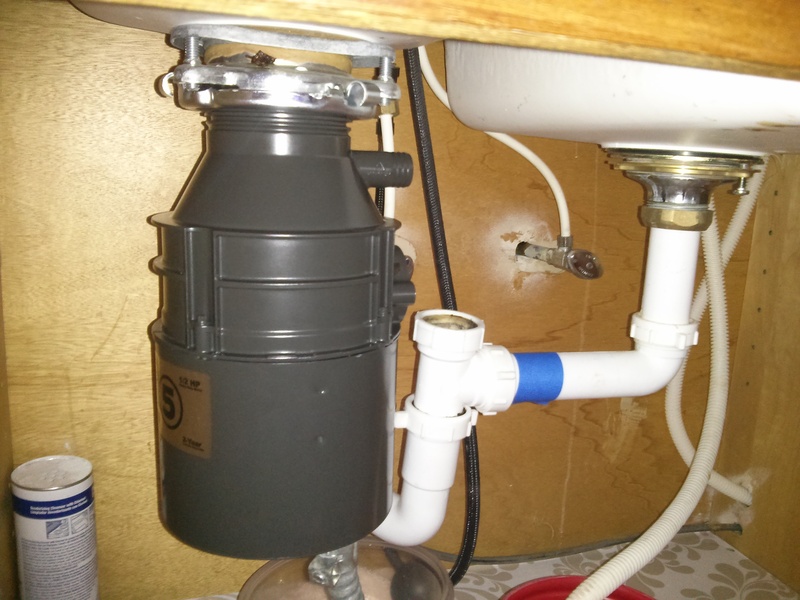 ladies and gentlemen, i present to you how to replace your faulty badger 5 garbage disposal in eight easy steps. 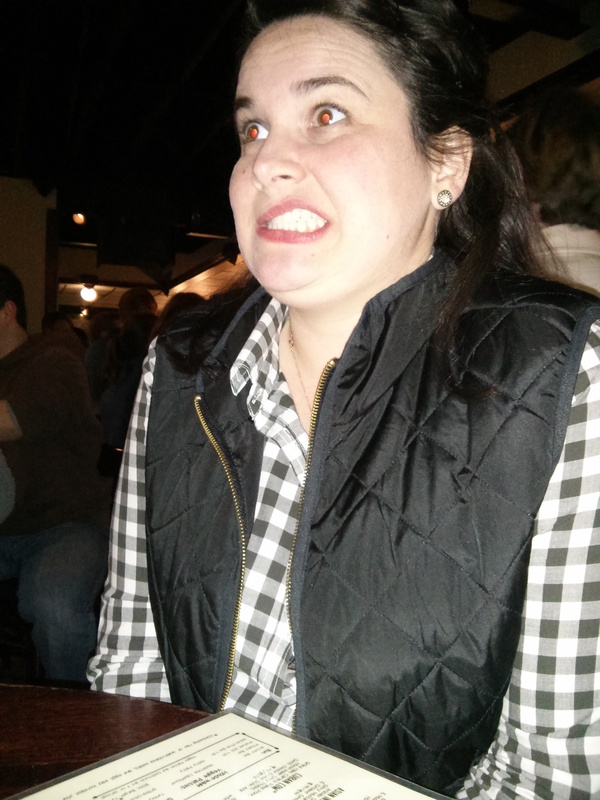 step 1 (crucial): take silly picture of mary before things get serious. 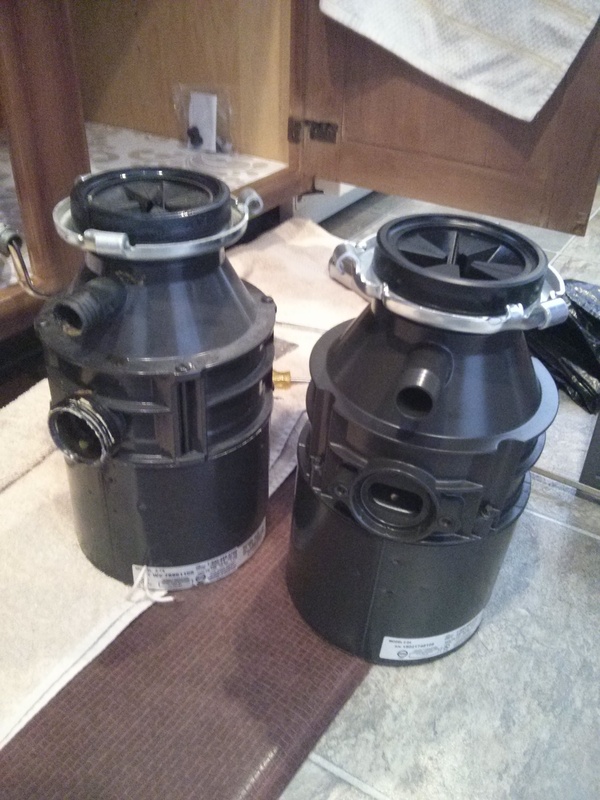 step 2: remove malfunctioning badger 5 garbage disposal. 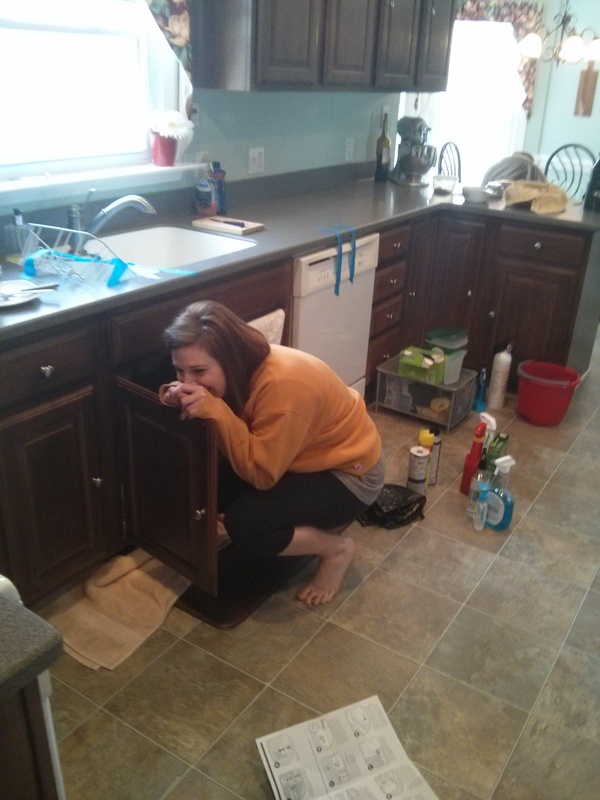 step 3: consult instructions, look under cabinet, consult instructions again. step 4: bad boy and new boy. step 5: keep looking under cabinet and patiently wait for kitchen elves to come out and magically fix it all. step 6: connect new badger 5 and applaud in celebration! step 7: tighten up that sucker and stand back…. step 8: …and admire mike’s handiwork! i love getting to see home improvement at work. it gives me confidence that someday i’ll be able to easily hire someone else to fix things around my house. 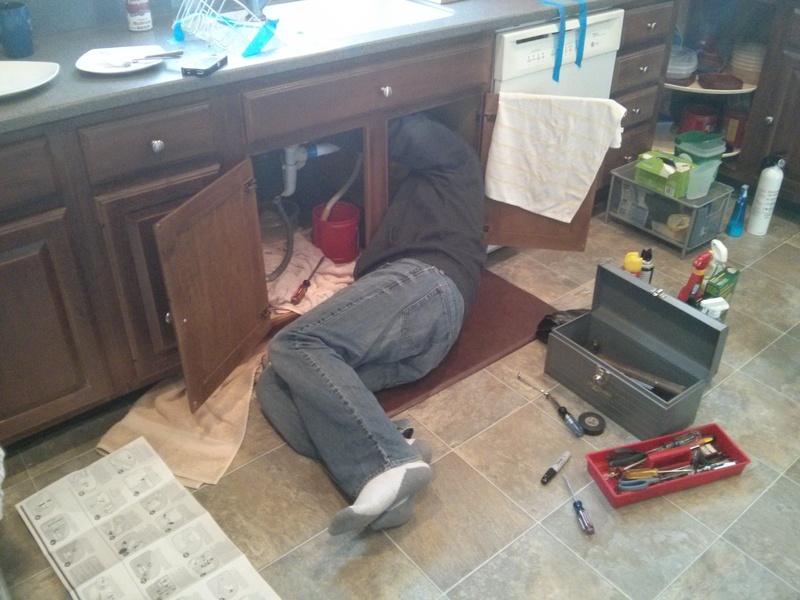 i mean, knowing to call the right repairman is just as an important skill, right? right! after such a productive morning, we decided we’d spend the afternoon touring greensboro and doing a bit of shopping. oh, but wait! not before we get another chance for more problem solving opportunities! i went out to my car to grab something when i noticed something strange about one of the tires. well, i’ll let you take a look for yourself. that can’t be good, can it? i didn’t think so. my real-world instincts kicked in instantly, so i picked up the phone to call the local mazda dealership, fingers crossed that they could fit in a tire replacement before the day was done. well, wouldn’t you know it, not a single mazda dealership in the greensboro area had time or resources to see me on saturday. and, of course, none of them were open on sunday – ah, gold! are you sensing the sarcasm? yes, there’s just a hint of it there. with that i made an appointment for monday morning because what else could i do? not a ton, so we left it at that and continued on, for we weren’t going to let a weird little air bubble ruin the day! no other mishaps presented themselves that afternoon, so we quickly got ready and out the door before anything else could go awry. mike navigated us through town in his chevy equinox as we wandered in and out of some of the local thrift shops and antique stores. we didn’t have a ton of luck, but it’s always fun to walk up and down those aisles to see what kind of interesting (and often strange) stuff lines the shelves. had i been in the market for some furniture, i bet i could have loaded up the trunk with some pieces, but the condo is jam-packed and has not a free spot to spare. oh well. i guess i just need to begin the hunt for a bigger home so i can do more decorating! ah, i can see milo shaking his head now. mary and mike had said this place would be busy, and they definitely weren’t joking. we arrived right at 5:00 p.m. and there was already a 15 minute for our quaint party of three! i was losing it a little before we were seated, but once we were shown to our table, the food blogger in me got down to business. hops may not seat a ton of folks, but every bar top was full, a clear testament to the locals’ opinion of this place. as mary alluded to while we were waiting, the service was killer all night. andy the manager was as sweet as could be to everyone in the place and then our waiter david just kept the good vibes coming. they were cool as cucumbers all night long and attentive; it was very much appreciated and very much noticed and we never felt in the way. plus, it helps that they all looked like lost members of mumford & sons. nice! adult beverages were in order after all the fun we’d already had that saturday. mike went with the noda hop drop and roll and absolutely loved it. he had two of them that night and, had he not been the driver, i’m sure there would have been many more. 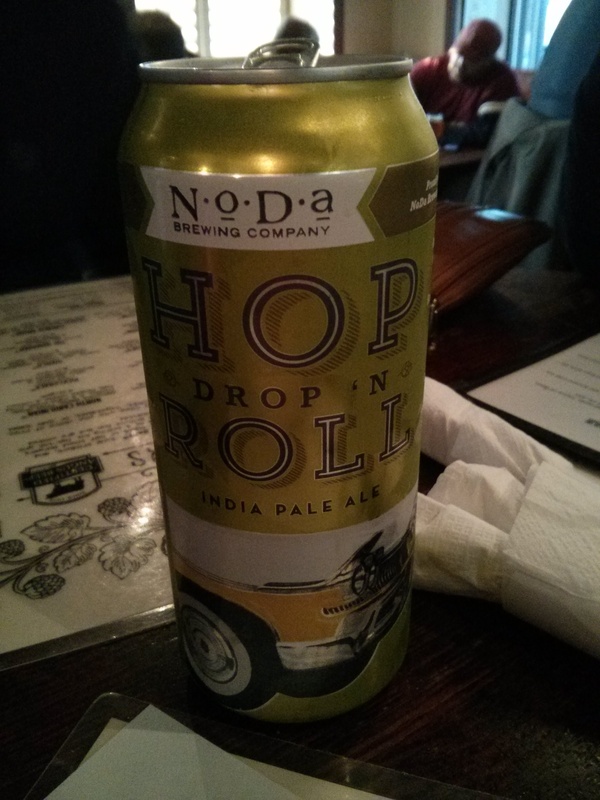 noda hop drop & roll. per david’s suggestion, mary gave the blood orange gose a sample. i admit, it sounded intriguing from the description: a kettle-soured wheat ale that is tart and citrusy. mary gave it a quick sip and made a sour face almost instantly. it reminded her of a warhead, but the more she drank it, the more used to the flavor she was. she liked it because it was unusual and unexpected, but it wasn’t enough to have her order a whole pint. it would be a good beer for those of you who don’t like too much of a hoppy taste but want something a little different. 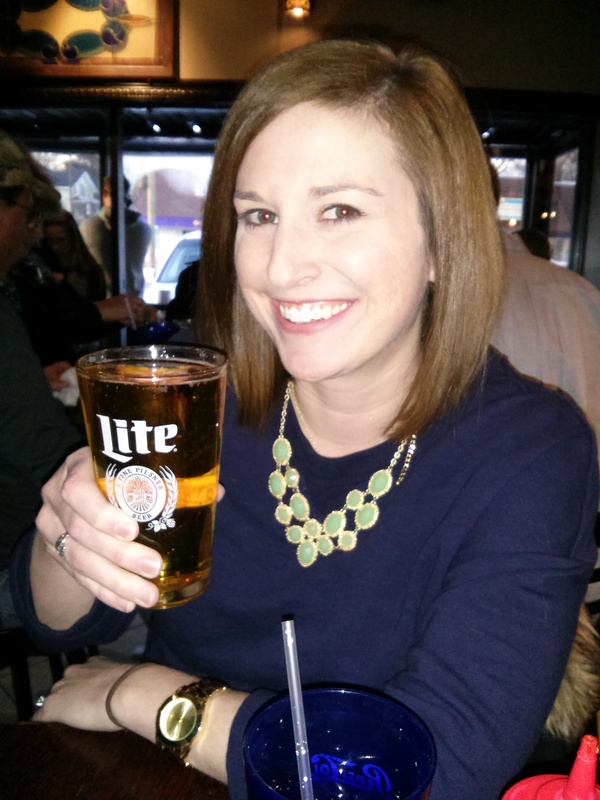 she stuck went with old faithful in the crispin hard apple cider and enjoyed every last drop. 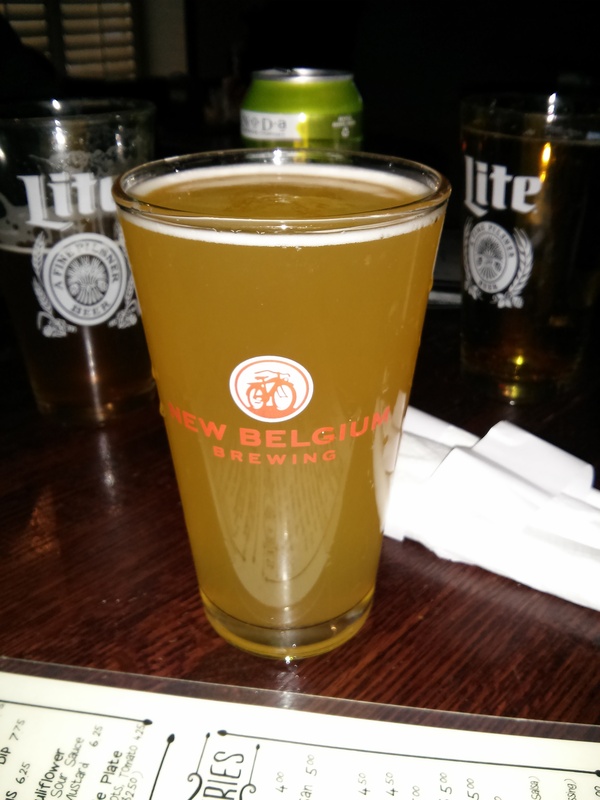 none of the draft beers really jumped out at me, and i wasn’t particularly in the mood to go out on a limb, so i went with the boulevard unfiltered wheat, a highly drinkable american-style beer with hints of citrus. cheers! after trying to decide among many of the tempting burger creations here at hops, i ended up with the north carolinian like mary. this burger is topped with thick strips of applewood bacon, a fried green tomato, a farm-fresh fried egg (say that five times fast), a generous dollop of pimento cheese, and lettuce. i had figured it was what i would order, and i’m glad it was what i ended up with for my dinner. the meat is clearly high-grade, like melt-in-your-mouth high grade. the best part about the burger is that the meat, the star of the show, wasn’t overpowered by any other element. the pimento cheese was rich and melty, the fried egg was perfectly yolky (at least mine was; i think mary’s was just slightly overdone). the bacon was salty and the perfect amount of crispy and chewy, all at the same time. the only topping that i didn’t go crazy over was the fried green tomato; i felt like it didn’t have enough flavor to really have an impact. on the other hand, mary and mike would gladly have had another tomato on top! with or without the tomato, it’s a burger worth getting again. per our waiter’s recommendation, i went with the special buffalo fries on the side. 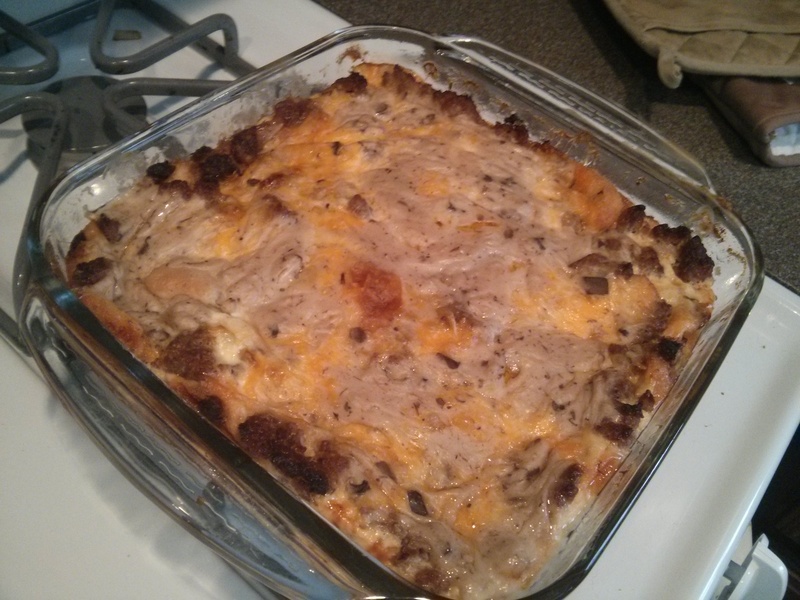 these taters are smothered in a homemade wing sauce and then topped with bleu cheese crumbles and dressing. to quote david, “the sauce has a little kick but the bleu cheese is right there to cut it down.” he could not have been more correct. with the first fry i thought i needed more buffalo sauce, but as i got to the ones that were a little more soaked, i realized it was all very well balanced. mike went with another one of his favorites in the pickleback, a patty topped with a fried onion ring, spicy barbecue sauce, and bourbon marinated pickles. these two looovvveee pickles (they have five jars in their fridge at the moment) and bourbon, so this burger is obviously favored. mike was in burger heaven with the first bite, and it was as delicious as he remembered it being. he even ordered some extra bbq sauce on the side because it is so delectable. he dipped one of his sea-salt fries in there, ready for a bite of bliss, but the horseradish in the bbq sauce was very strong without the bourbon pickles to balance things out. although he still loves the burger so, this bbq sauce on its own is not top of the list for mike. okay on its own, but much better on the beef. 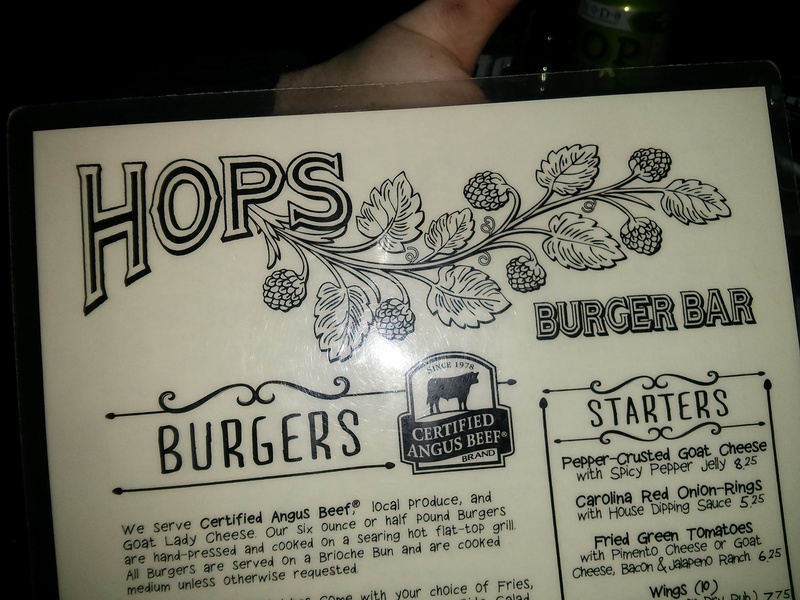 sssooooo…..closing thoughts on hops burger bar in a winded list of adjectives: full, succulent, juicy, delicious, return, heavenly, ‘murica, warhead beer, mouthwatering, savory. all three of us would readily come back, but let me leave you with this thought: i highly recommend you come here with your adult crowd. there were just enough munchkins running around that i noticed it. oy vey! ***author’s update: mary willa so kindly informed me a few months later that hops was named, by tripadvisor, to be number one on the list of top burger’s in america. and I’ve been there! boom! even though we were completely stuffed from our hops dinner, something sweet sounded like it would hit the spot. maybe even the sweet spot. see what i did there? oh boy! i’m getting carried away, aren’t i? there was a dairy queen a few miles away, so mike sped us on over there, whipping into a spot after expressing the teeniest bit of road rage at a completely oblivious driver. mike and mary went ahead while i used the ladies’ room. upon my return, quite a line had formed, so i hopped in behind everyone else. mary and mike were waiting patiently for their blizzards when all of a sudden a scene began to be made around me. all i could see were the reactions on their faces, and from what i read, things were getting silly. after the dairy queen employee unsurely handed them their chocolate extreme and french silk pie blizzards, the laughter began. there was an older lady rocking way too many patterns at once, confusing all of us about the one banana split she ordered, with ice cream, to-go, that she needed in a bag, but only one of them. the poor employee was as lost as we were. the family in front of me was quite a sight as well, all of them bopping along to “uptown funk.” they were definitely getting funky. i completely understand that none of you readers may truly be able to picture the scene, but i promise that for mary, mike, and i, it was the perfect cluster of an ending to an already outstanding day. 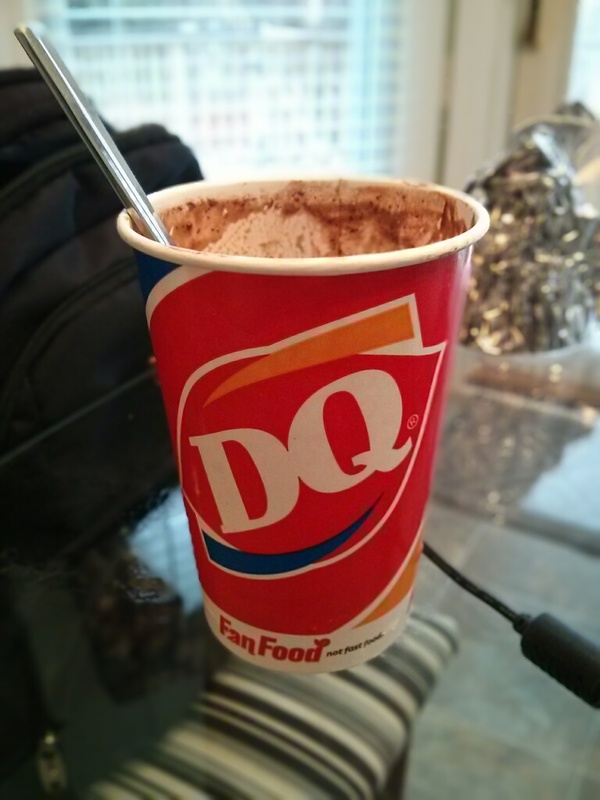 i finally got my medium blizzard (i had only ordered a small; what luck that they accidentally upgraded me!) and we piled on in the car and headed on home. all the excitement had worn us out, and after watching 13 going on 30 and realizing our new-found obsession with mark ruffalo, the day came to a close.